Food trucks are all the rage these days. I think they’re fun because you get to consume food in a different manner, it’s fast-casual, quick, and since they’re mobile they can be where you are or in unique environments. That said, I sometimes find the novelty of food trucks can wear off when perhaps due to circumstances or their tiny space, the food isn’t always as good as I hope it would be. When it comes to the Ginger Pig, my love for the food truck has been renewed. Serving “inspired Asian street food,” the Ginger Pig is woman-owned (yes!) by the passionate and wonderful Natascha Hess. 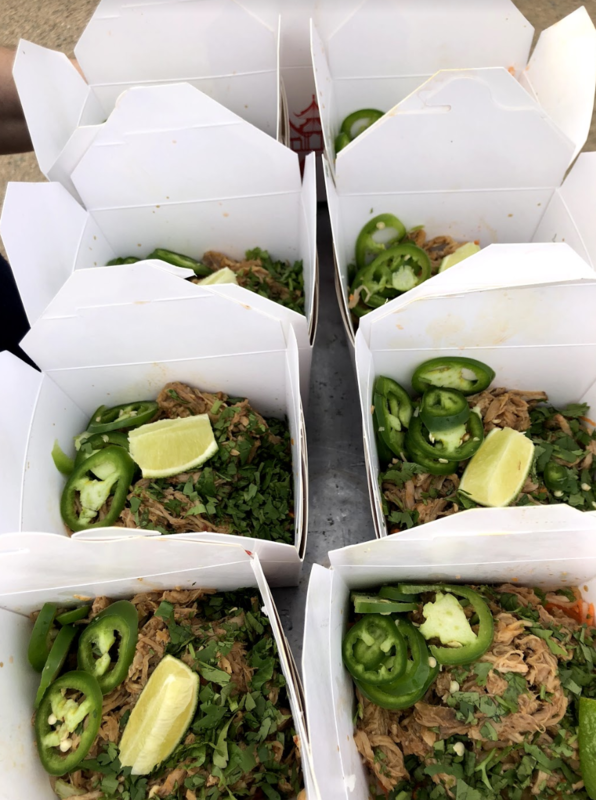 The Boulder-based food truck serves inventive food with love and compassion, packed with intense flavor and vibrant spices. Natascha’s tie-in with Asian food started in college. 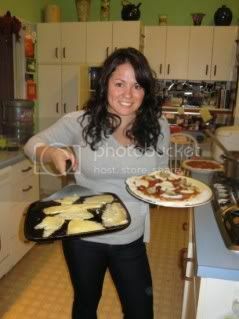 She lived and studied in Beijing, China and she learned all the unique ingredients and cooking methodologies from her host family. Her Chinese ‘mother’, Zhang Baba, Nalu, taught her how to grind pork with a cleaver and make potstickers from scratch, and Chinese Borscht, which was one of the original inspirations for The Ginger Pig. After college,(where she also played college hockey in Wisconsin!) and a lot of travel in Asia, Natascha and her husband Steve moved to Colorado where they’ve lived the last 20 years. She practiced law and worked in sports broadcast television. However, her love from those traditional Chinese recipes never waned and she was always cooking and playing with recipes in her spare time. Her desire for starting a food truck kept growing. One night, while dining out, Natascha and Steve met local celebrity chef Carrie Baird of Top Chef fame. Just by telling her story, Baird invited her to intern for her (sight unseen, no formal experience) in her kitchen. Baird even eventually helped her work on the truck to get them launched. The rest, they say is history. 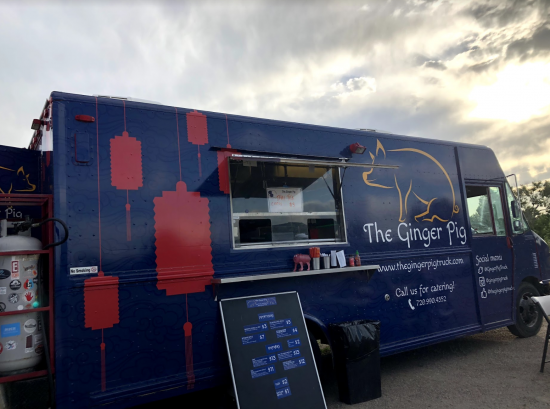 And their following is growing: Ginger Pig Truck won Westword’s Best Food Truck 2018 this year! They have a regular post at Isabelle Farm in Lafayette, they’re frequently at Rayback in Boulder, are the sole food truck at Boulder County Farmers Market on Wednesday’s, they make special appearances at many local events or festivals, and also do catering. You can track their calendar to keep up with where they’ll be next. Now to the best part, the food. One thing I appreciate the most is that Natascha is very considerate to all her diners. Everything is marked gluten-free, vegan, or vegetarian where applicable, and she’s cognizant of allergies. She never uses MSG in her food, either. 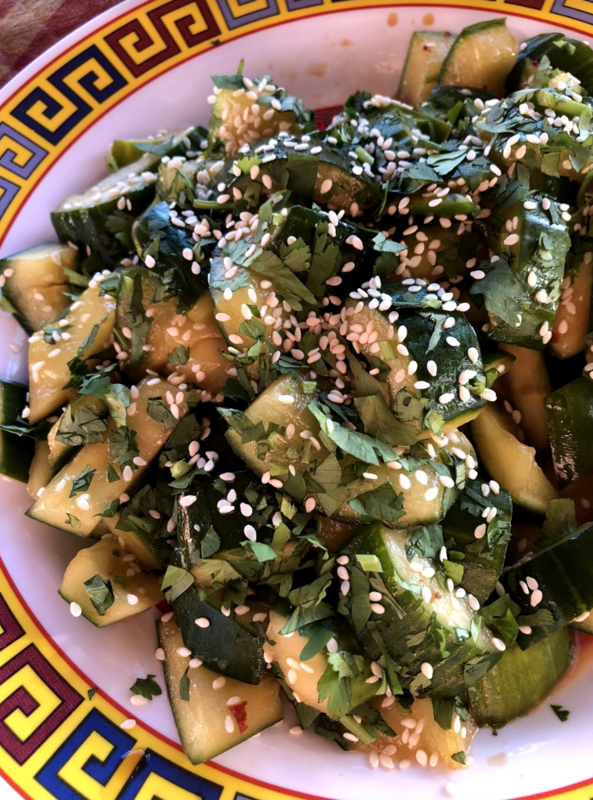 Smashed Cucumbers, Sesame House Vinaigrette with Chinese Black Vinegar, Cilantro, Sesame Seeds (vegan)(gf). This simple cucumber salad has a crispiness to it combined with popping flavors of savory and sweet. It’s great to order as a cooling side to some of her dishes with a kick. Togarashi, Kewpie Mayo, Lime, Cilantro (gf)(v)(vegan available). This is a seasonal dish she likes to bring out when corn is in season and it’s just incredible. 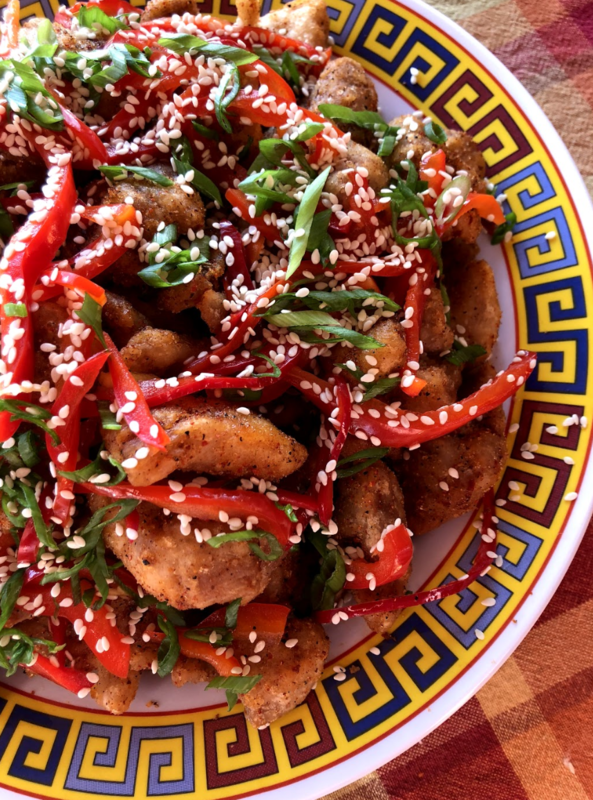 The Togarashi is a toasty, sweet spice mix and it’s technically the Japanese word for red chili peppers. 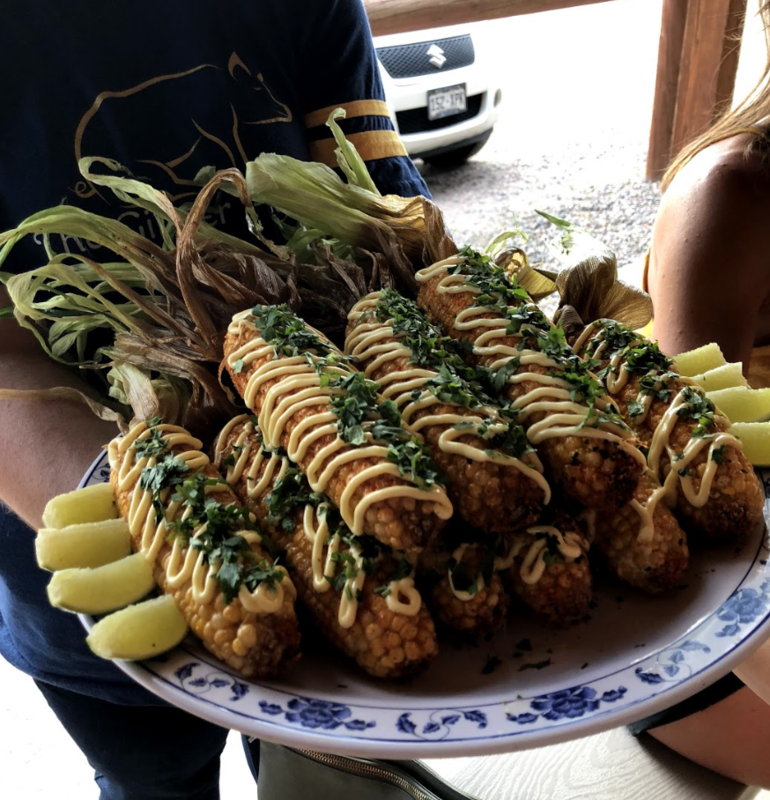 If you’re at Ginger Pig in late summer, make your way for this fun corn-on-the-cob dish. Thai Red Curry Rice Balls, Kaffir Lime Aioli, Red Curry Drizzle, Cilantro (gf)(v)(f). Probably my favorite dish. Think of these like an Asian-style arancini. 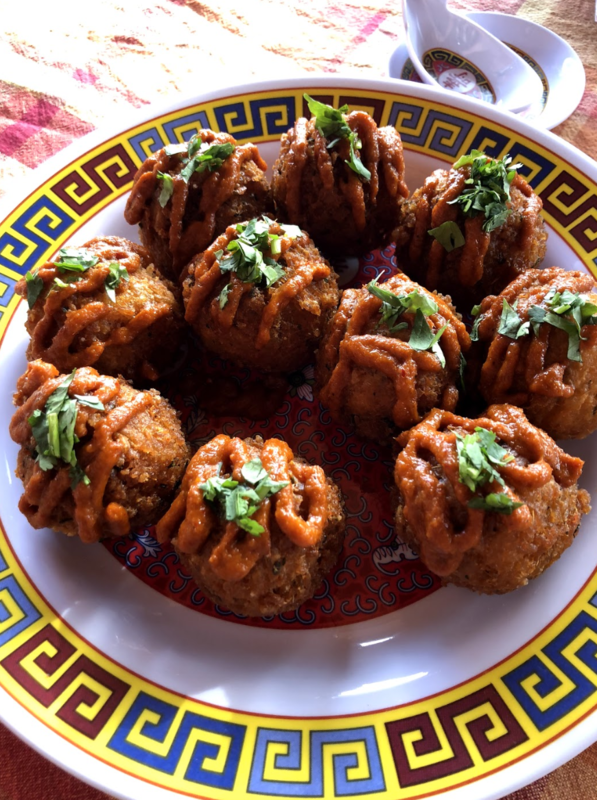 They’re gluten-free Thai rice-balls that are drizzled with cilantro and red curry. They’re served alongside a bright and flavorful kaffir lime aioli. When you break them open they’re bursting with steam and have a nice kick to them at the end of your bite. Spicy Sichuan Peppercorn Chinese Nine Spice Rub, House Pickled Red Peppers, Thai Jasmine Rice, Chinese Smashed Cucumber Salad (gf). These are bursting with flavor and spices that your palette rarely gets access to (if I had to guess). This is where things really stand out – what food truck combines nine very unique spices for this special rub ? In closing, their Sesame Ginger Braised Pork Banh Mi Rice Bowl (the PBR for short) is one of their best-sellers. Community, collaboration, and giving back are all important to Natascha and it shows in the team she has built, the food that she serves, and her outlook on life. Go ahead and find where they’ll be next. You won’t be disappointed. 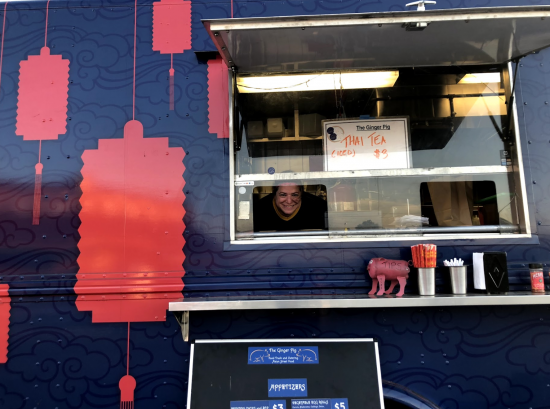 I’m sure you’ll find Natascha grinning in the food truck window, excited to serve you, exuding her warmth.